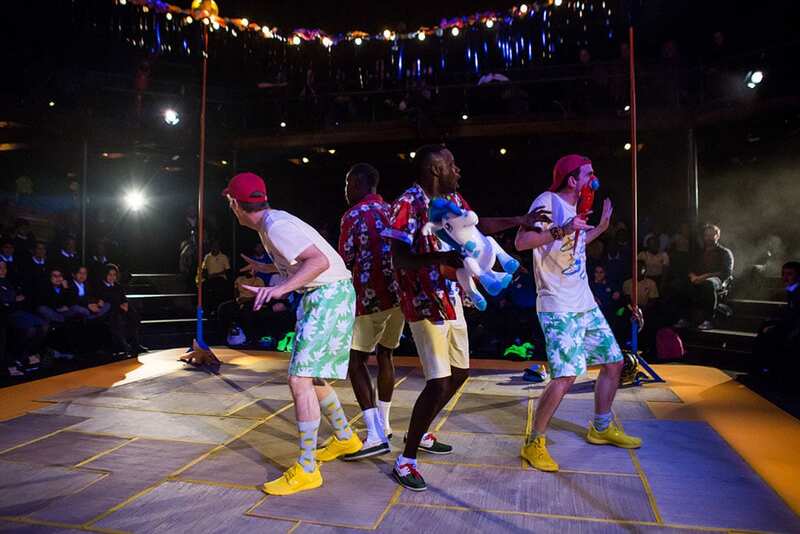 Already welcomed into an exotic setting of a city celebrating Carnival in the sunshine, the play oozes warmth and generosity from its very beginning. 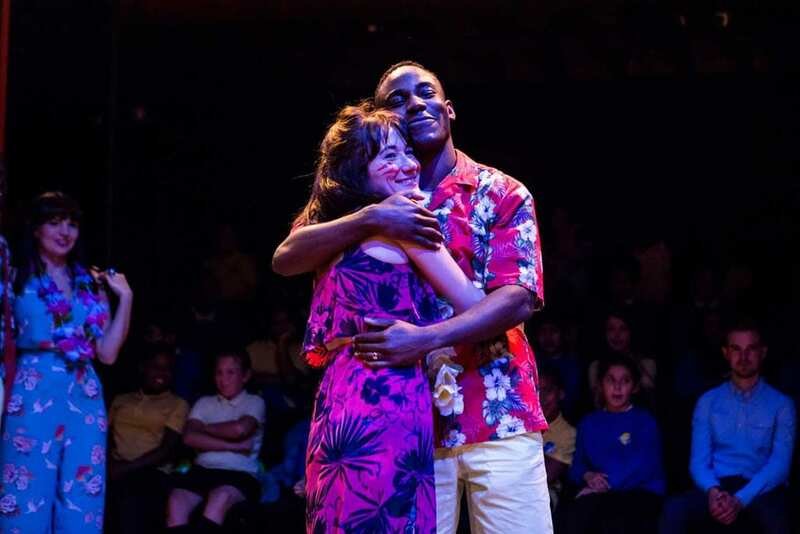 With vibrantly colourful costumes, the cast emotionally and poetically introduces the audience to the story in a beautiful a cappella song: two sets of identical twins have been separated for many years, to the despair of their parents. Contrary to expectations however, such a premise leads to the most comical of situations, from multiple mistaken identities and confusions to arrests and romantic quiproquos. 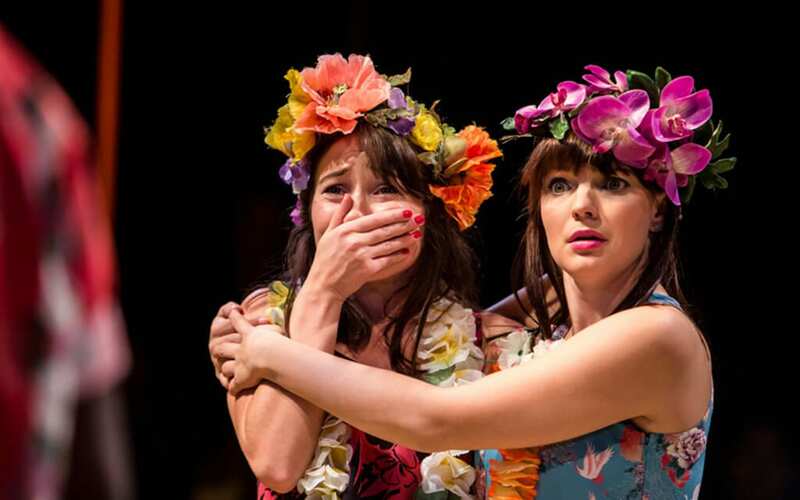 The Shakespearean language has been maintained, but so well adapted, that both meaning and beauty are made accessible to both a young and adult audience. The questions that one might expect from a Shakespeare play are also subtly alluded to, such as the identity of different social and ethnic groups, the distinction between identity and disguise, between reality and dream. An even more daring decision on the part of the director was the use of cartoonish humour and soundtrack in the most absurd situations, but with such perfect timing on the part of the performers, that it worked an absolute treat. To our delight, we witness slow motion fights, a dialogue of farts; a “Pulp Fiction” dancing moment of chameleon, fish, parrot and dolphin; a physical enactment of insanity through frog jumps! In this respect, all actors did a perfect job in the whole range of emotions displayed, from drama and romance to comedy, playing to the audience all around them in the most engaging manner. From the audience’s response, it was clear that they were indeed in heaven!